I first heard about this Oreo version when I read Marvo's review. 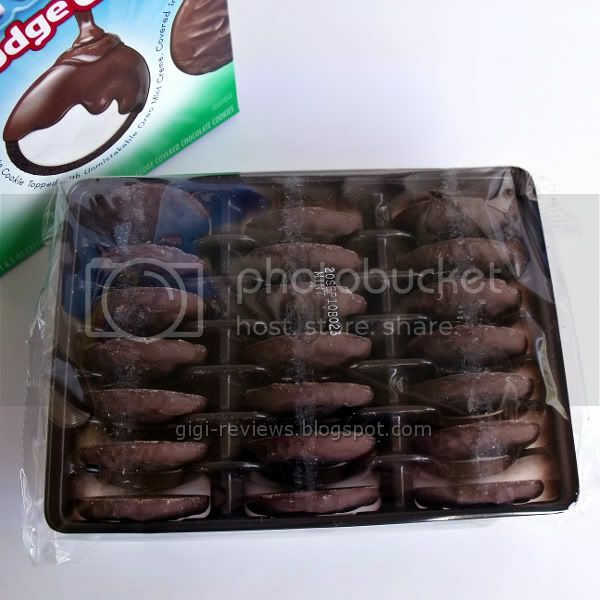 I had also reviewed and loved last year's Mint Fudge Covered Oreos. So, when I heard that this might be like another go around, I was there! 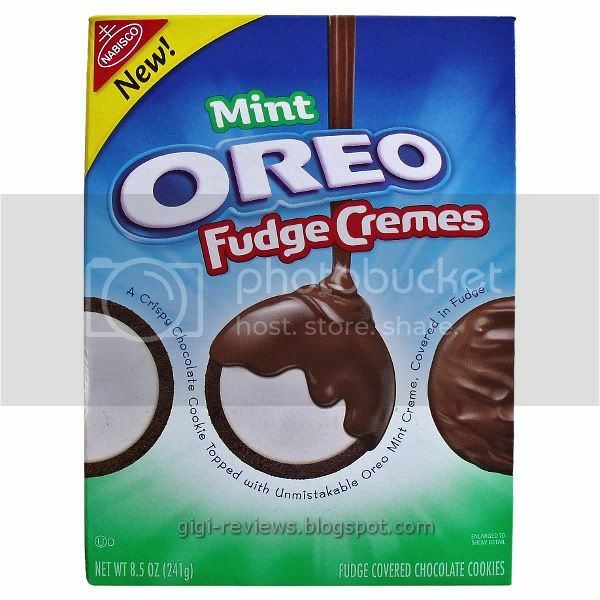 The version I loved last year was basically a regular Oreo that was covered in a mint-flavored fudge. This version is the classic cookie base, mint creme filling, and then it is covered in "normal" fudge. Sounds pretty good, right? Here's the rub: for some reason Nabisco got the idea to remove the second cookie layer that one expects from an Oreo. They didn't feel the need to lower the price because of that -- but they did up the cookie count, so I guess it balances out OK.
Taste-wise there's a lot like. It's the classic Oreo chocolate cookie, topped in a cool, minty creme, and then the whole thing is covered in fudge. The effect is very much like a really high-end Thin Mint (even more so than the Mint Fudge version). Even the fudge comes off pretty well. 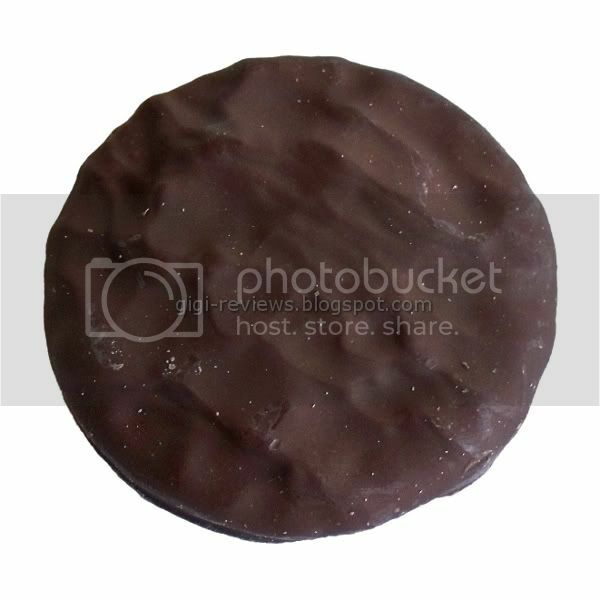 If you're a cookie dunker, you're going to have to bite into the cookie at least a little bit because otherwise the fudge coating keeps the milk (or milk-type product of your choice) from soaking into the cookie. This is a really tasty addition to the Oreo line. And yes, I admit that my box disappeared rather fast. 170 calories per 3 cookies. Contains wheat, soy, and milk. Made on equipment that processes peanuts and tree nuts. Great review Gi. I get so jealous seeing all of the Oreo limited editions you get to try all the time. 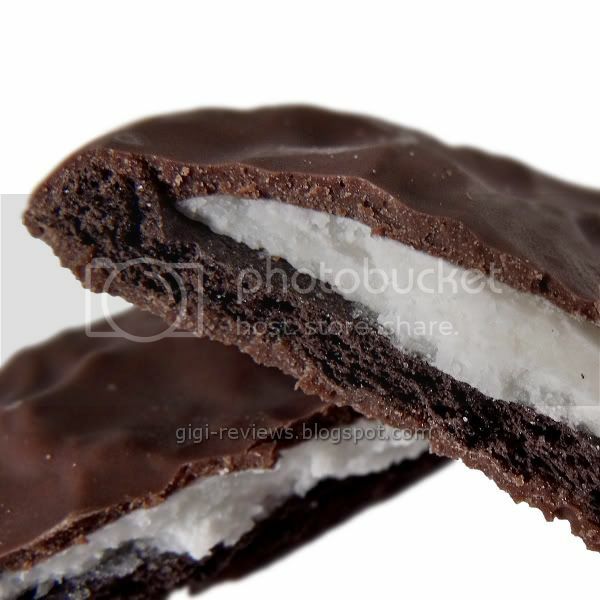 One of my favourite cookies of all time are the double stuff mint ones that oreos do. I bet I would love these huh!? I bet that you would love them- I still have to mail to cinabar if you wanna send me an addy they can be yours!! My favorite are the Peppermint Stick limited edition from a couple Christmas's ago. They were just plain good. I also miss the old version of the Oreo ice cream sandwiches. The new ones are just not worth the calories.